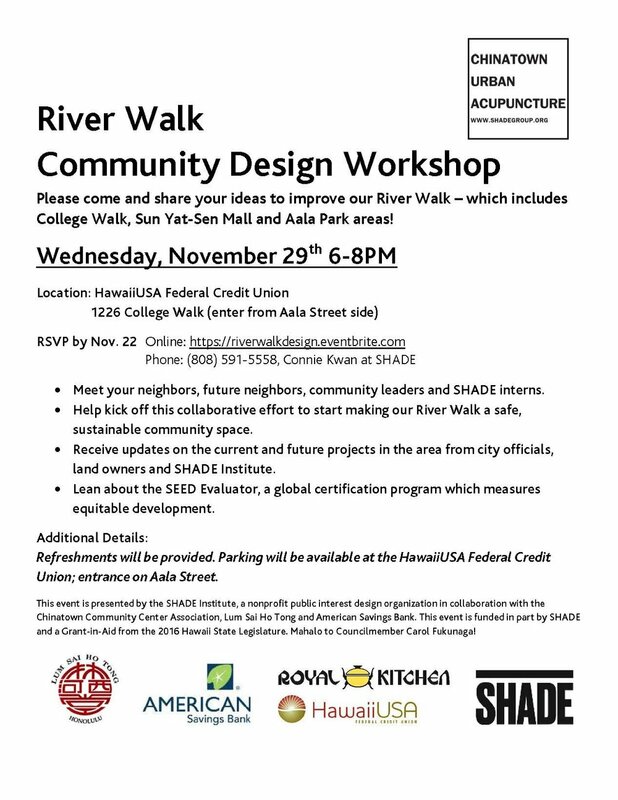 SHADE Institute will be hosting another Community Design Workshop on November 29th from 6-8 PM. 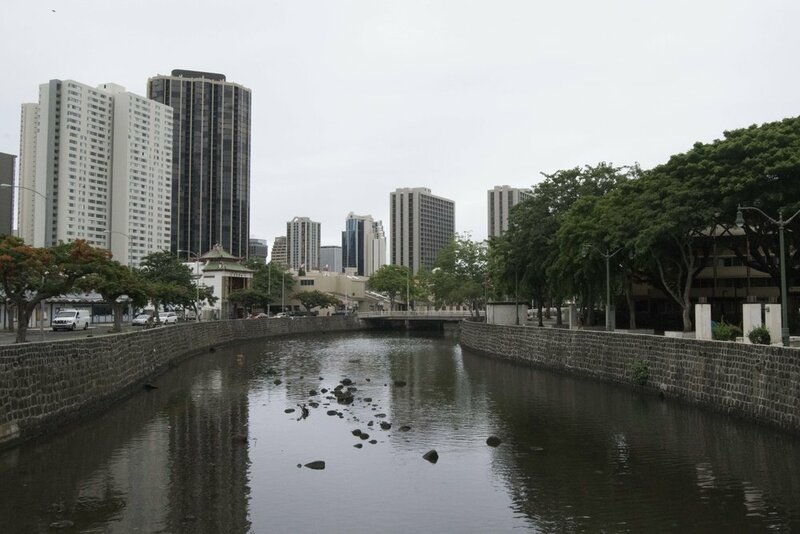 Please come share your ideas to improve our River Walk - which includes College Walk, Sun Yat-Sen Mall and Aala Park areas. Special thanks to the Chinatown Community Center Association, Lum Sai Ho Tong, American Savings Bank, HawaiiUSA Federal Credit Union and Royal Kitchen.